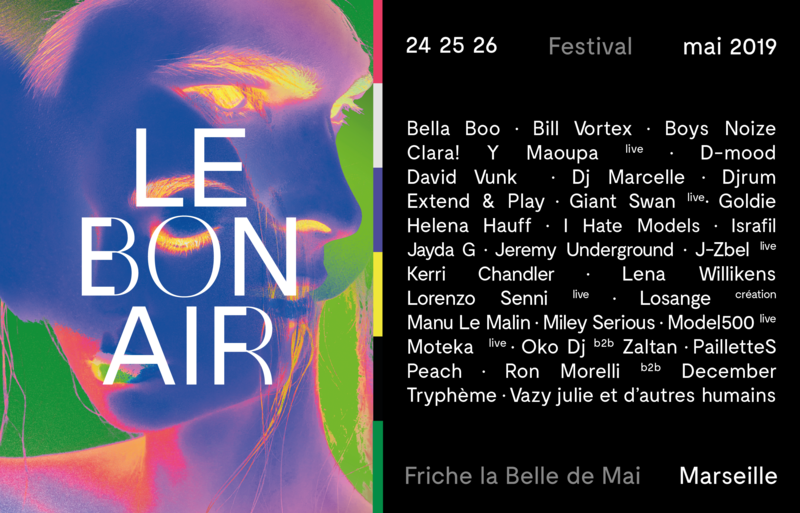 This ticket allows entrance to Le Bon Air 2019 on the 24th, 25th and 26th May. This ticket allows entrance to Le Bon Air 2019 on the 24th and 25th May. This ticket allows entrance to Le Bon Air 2019 on the 24th May. This ticket allows entrance to Le Bon Air 2019 on the 25th May. This ticket allows entrance to Le Bon Air 2019 on the 26th May. Ibis Marseille Centre Euromed is located in the heart of a modern and dynamic district in the center of Marseilles, ideal for business stays, weekend family getaways or stopovers as you take a Mediterranean cruise. The restaurant combines authenticity and variety with fresh ingredients. Relax in the bar or outside lounge area and enjoy a hearty buffet breakfast comprised of regional products. Just a few minutes' walk from the hotel, enjoy an ice cream at the Old Port, stroll down the narrow streets of the Panier district, be amazed at MuCEM, take a Mediterranean cruise, admire Marseille from Notre Dame de la Garde, experience thrills from the terraces of the Vélodrome stadium, and dive into the heart of Marseille. Sail to the Frioul islands and Château d'If, take in a change of scenery in the Calanques, and discover the charm of Cassis, Aix-en-Provence and the Provence countryside. 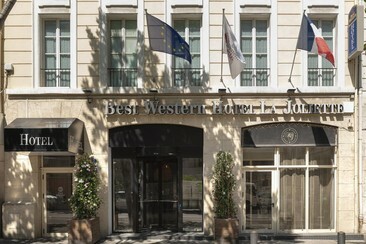 The BEST WESTERN Hôtel La Joliette is a premier, four-star hotel located in Marseille's Euroméditerranée business district. Sporting an elegant façade typical of Marseille design, this luxury boutique hotel skilfully combines first-class service with a welcoming, personal touch. The hotel is decorated in a minimalist, art-deco style that embodies the splendour of Belle-Époque cruises in a distinctly contemporary manner. The coral, sand and blue colour schemes contrast with the wood and the furniture's clean lines to form a harmonious whole; while the gallery-style display of period posters recreates the '50s to give a taste of fabulous voyages to far-off horizons. Guests also have the opportunity to relax as they please as the hotel offers room service, a bar, a sauna and fitness studio. The BEST WESTERN Hôtel La Joliette enjoys a premium location only a stone's throw form La Canebière, between the old port, the commercial port, and the city centre.The seafront boulevard, La Major Cathedral and the Docks make this district a lively and dynamic place set against a Provençal backdrop and overlooking the Mediterranean.The La Joliette district is easily accessible by public transport. With metro and tram stations nearby, St Charles train station is less than five minutes away, and the old port less than ten minutes away from the hotel. National and international ports are located within the immediate vicinity of the hotel. Nearby are motorways connecting Spain, Italy and North Europe. 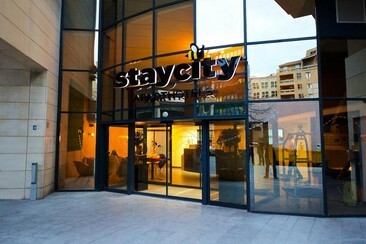 Staycity Aparthotels - Centre Vieux Port has a particularly good location because you can walk to the main attractions like Cathedrale de la Major and MuCEM. 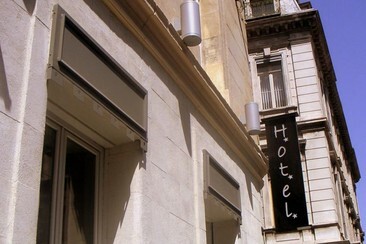 It is just 5 mins on foot to Vieux Port, bars, shops and restaurants. 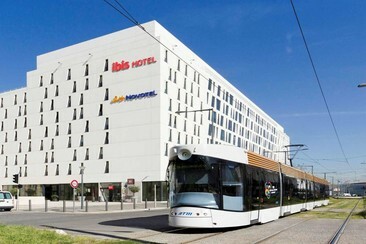 The Marseille Saint-Charles train station is within easy walking distance, and the A7 motorway only 5 minutes’ drive. All apartments and studios are accessible via a lift and feature a flat-screen TV. Each unit has a kitchenette fitted with a dishwasher, microwave, toaster, fridge, stovetop, coffee machine and kettle. There is a private bathroom with free toiletries in each unit. Towels and bed linen are offered.